Each video captures research-backed knowledge and applications of BIM from both academic and industry experts. The videos combine practical applications focused on developing templates that can be used on the job. How is BIM being used in the construction and design industry? What are the various BIM technologies in the industry? How can owners benefit from BIM? How can contractors and subcontractors benefit from BIM? How can architects and engineers benefit from BIM? 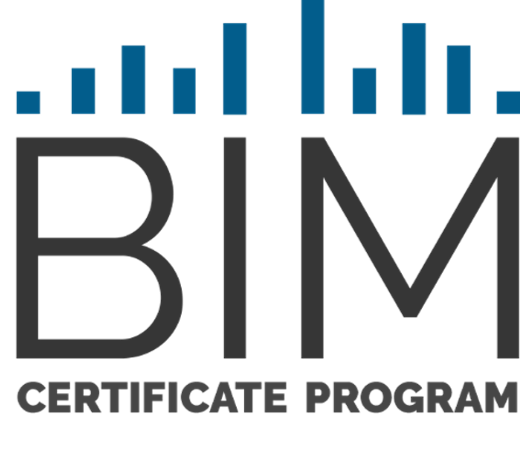 The BIM Certificate Program was designed to give new and experienced professionals a “hands-on” understanding of BIM, through the use and application of the newest BIM technologies. Participants will learn BIM tools and technologies in addition to creating a BIM templates that can be instantly applied on the job. Take the next step toward earning your Building Information Modeling (BIM) Certificate.